The purest, cleanest shave, with an intense fresh & clean aroma. 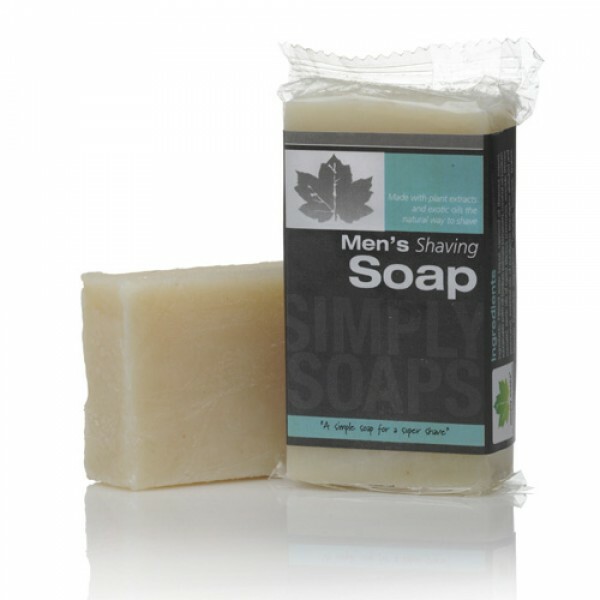 A unisex shaving soap with castor oil that allows a smooth razor glide. With exotic oils to nourish, moisturise and soothe skin this really long lasting soap is excellent value too. Rich in natural plant oils to nourish and care for your skin rather than drying it out like conventional mass produced soap. Hand Made in Norfolk these soaps are free from harsh synthetics and man made chemicals and will not dry the skin like conventional soap. All products are 100% Vegetarian, and most are Vegan too. 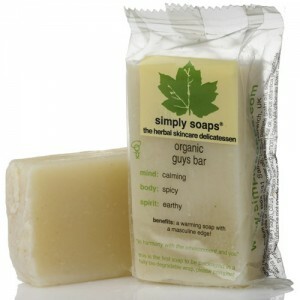 Why not try Simply Soaps Guy's Bar too? Water, Saponified oils of Olive, Coconut, Sunflower and Palm, Essential Oils of Castor, Avocado, Eucalyptus and Lavender. Rub bar to wet whiskers, the bar produces an oily lather, which allows razor glide and helps protect sensitive skin. 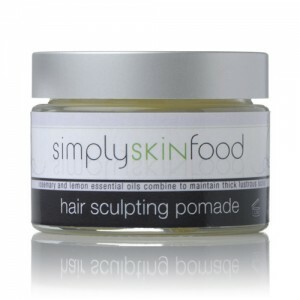 For best results follow with Simply Soaps After Shave Balm.